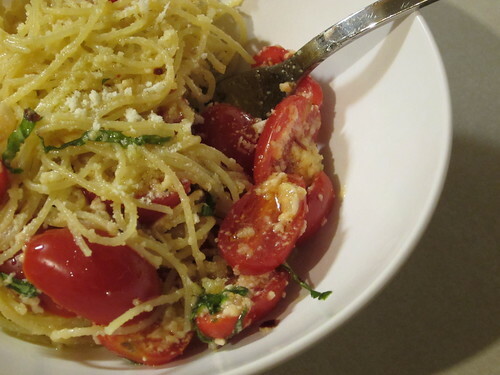 This dish is the perfect late summer meal. 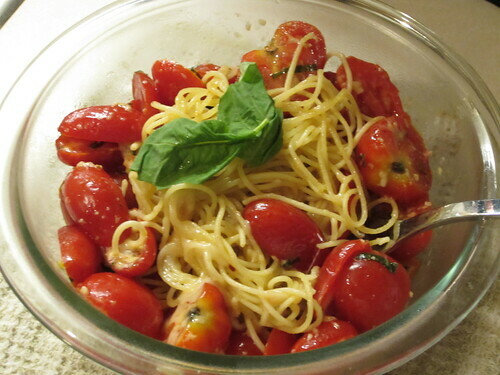 It’s light and fresh, taking advantage of an abundance of cherry tomatoes that many of us have. 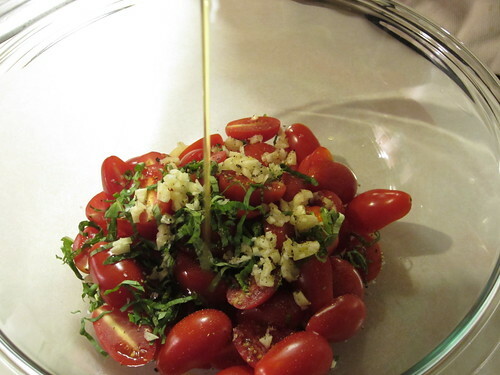 If you’ve ever had even just one cherry tomato plant, you know what I’m talking about. 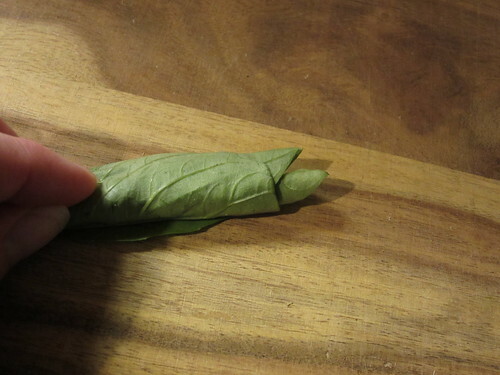 If you also grow basil, even better! In the summer, you can easily obtain great tomatoes or basil from a farmers’ market, farm stand, maybe even just the neighbors or a coworker. I’ve even seen pails of tomatoes in a work breakroom, along with a “Help Yourself” sign. You know what I really like about this dish (besides the great taste)? The leftovers taste great straight from the fridge or microwaved lightly, resulting in an easy lunch the following day. I’m already thinking about making it again. 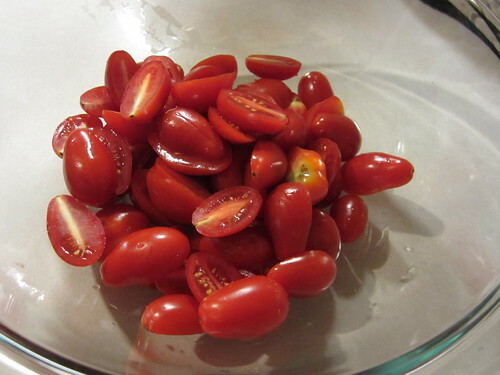 Note – this is one of those dishes that requires a few hours for the tomatoes to macerate, so plan your time accordingly. 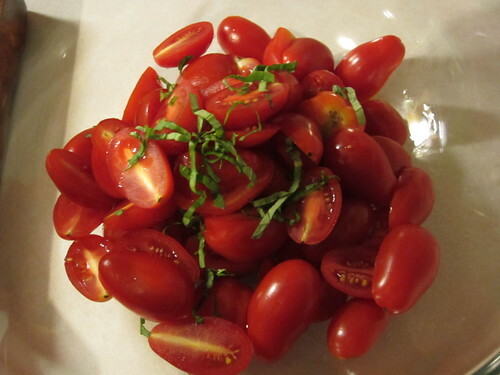 Combine tomatoes, olive oil, garlic, sliced basil, red pepper flakes, 1/2 teaspoon salt, and a sprinkle of black pepper in a large bowl. 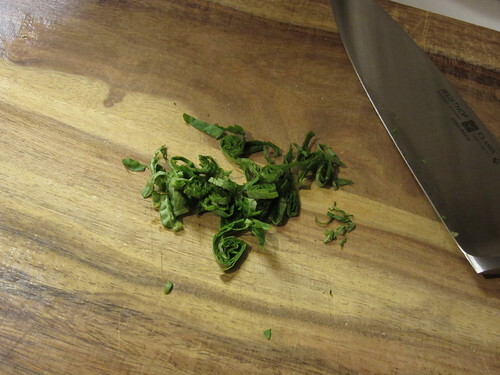 Cover with plastic and macerate at room temperature for 3-4 hours. Before serving, bring a large pot of water to a boil. Add a handful of salt and about a teaspoon or two of olive oil. Add pasta to boiling water, cook until al dente (2-3 minutes). Reserve 1/2 cup pasta water, then drain pasta. 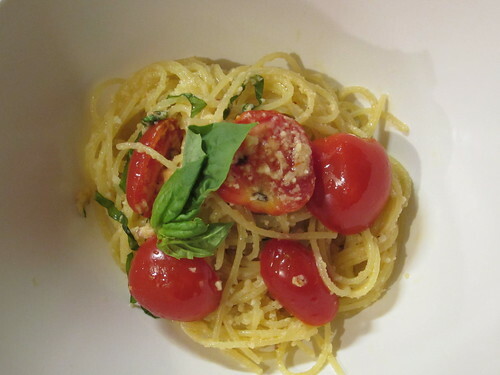 Add pasta to tomatoes, then add parmesan and remaining basil leaves. 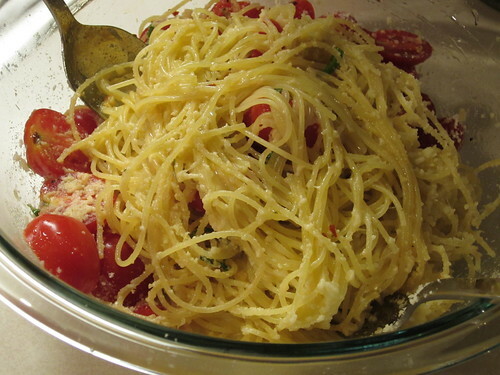 Toss with a large tongs, adding pasta water a tablespoon at a time, if needed to prevent noodles from sticking. 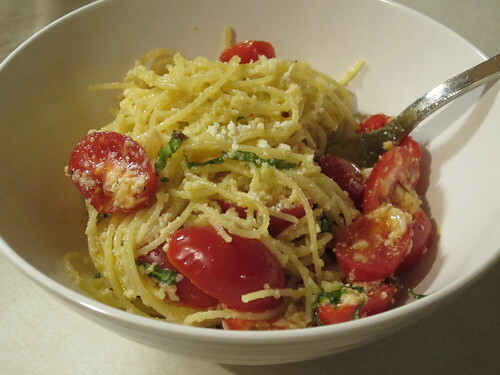 Top each serving with additional parmesan and whole basil leaves.